The jury found that Smithfield Foods owes compensation to six neighbors who complained in their lawsuit that the company failed to stop "the obnoxious, recurrent odors and other causes of nuisance" resulting from closely packed hogs, which "generate many times more sewage than entire towns." The case comes after two previous, related lawsuits rocked agribusiness in the country's No. 2 pork-producing state. Juries in those two cases awarded damages of about $75 million intended to punish Smithfield, though those amounts also were required to be cut. "Today's nuisance lawsuits that are destroying livelihoods and communities in North Carolina are the tip of the iceberg for what is to come absent a well-informed public and good public policy," Rouzer said in a prepared statement Thursday. "This is a very slippery slope that threatens the very existence of every form of agriculture nationwide." Industry group the North Carolina Pork Council decried the jury's decision in a statement warning that it could lead to more lawsuits across the country. "This verdict will spread from eastern North Carolina to all corners of American agriculture," the group said, calling for an appeal of the decision they described as unfair and unjust. Environmental advocates said there's good reason pork producers have been getting hit with penalties. "These juries are repeatedly seeing problems with the kind of waste management that's used," said Cassie Gavin, a lobbyist with the North Carolina Sierra Club. "Clearly it's time for the state and the industry to take a hard look at their waste management and modernize it so the public is protected." 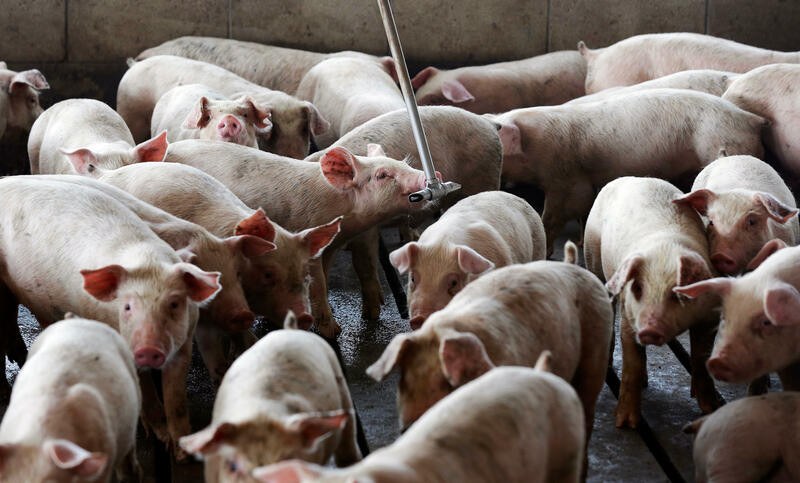 The Pender County, North Carolina, farms at the center of the lawsuit held thousands of hogs owned by a Smithfield Foods subsidiary. Smithfield was sued because plaintiffs' lawyers said the company used strict contracts to dictate how farmers raised Smithfield's animals. Lawyers for the neighbors said Smithfield hasn't taken measures that would minimize the nuisances, for example by sending trucks along a back road to pick up hogs for slaughter in the middle of the night instead of rumbling past sleeping homes. Nor has the company covered the waste pits or otherwise tried to capture the smell and bacteria resulting from pooling liquefied waste, lawyers for the neighbors said. The company has done that in Missouri and Colorado, attorneys said.